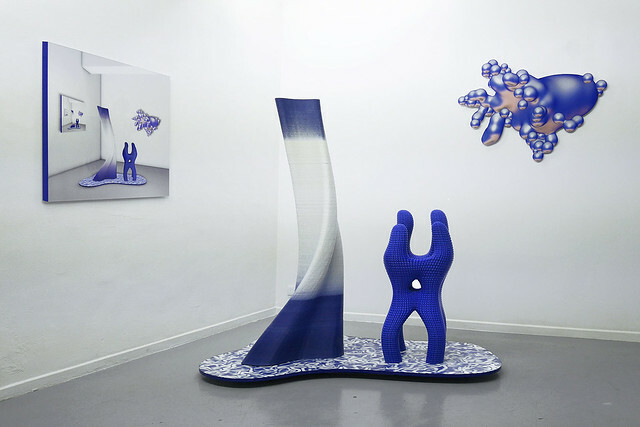 Brussels-based sculptor Philippe Elipeo shows at iMAL his latest Protomorphic Sculptures, large 3D prints presented here in a composition playing on optical illusion, mirrors and the ambiguity between real and computed images. 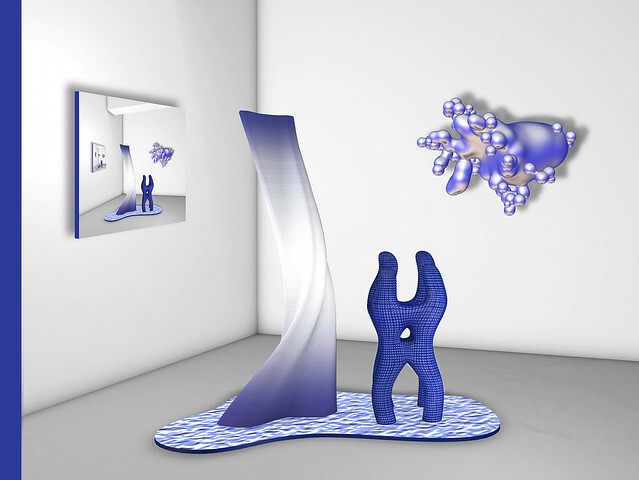 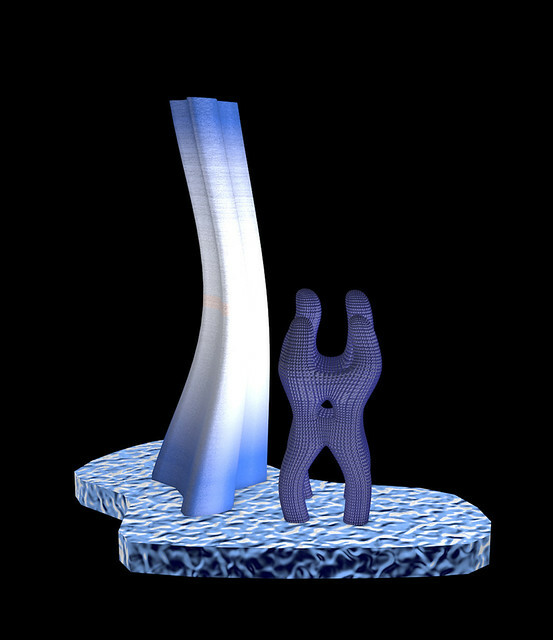 The operating field of computing – already accessible to image, opens, finally, to sculpture: the space of the projective plane of computer screens is increased by the 3D printers control volume. 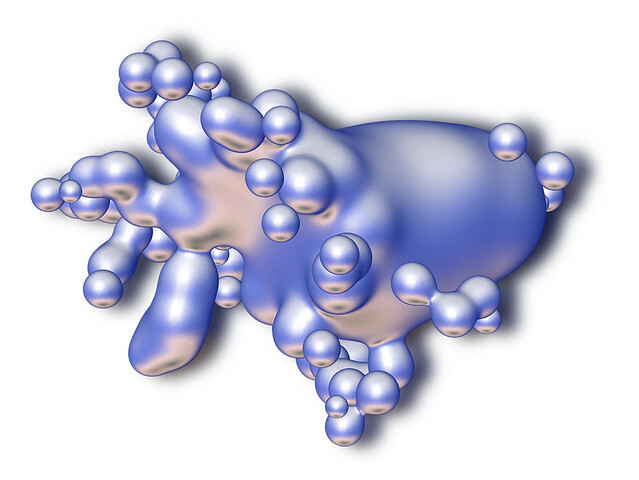 The physical world is abstracted in a cube, inside which each point of the XY surface is defined on the Z-height for receiving and solidifying its droplet of molten material. 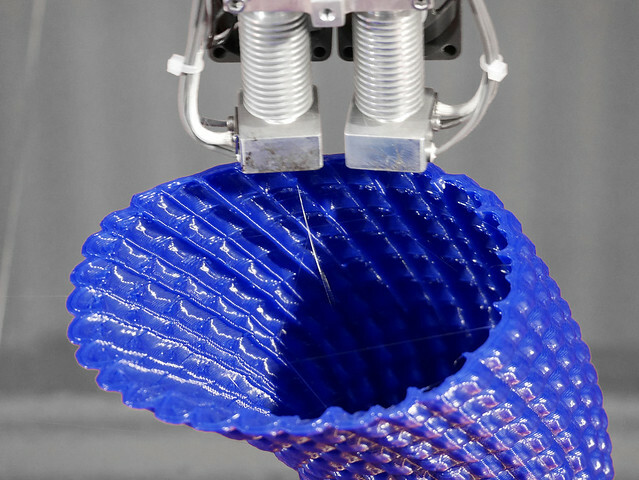 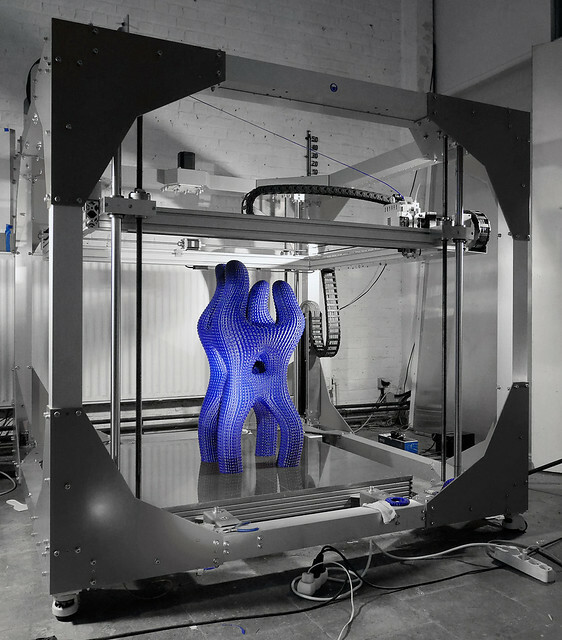 The beauty computed for these large format 3D printers, is similar and equivalent in that of the optimal said forms of the nature: a logic of modelling settles an architecture of arcs conceived for a minimal expense of material and printing time. 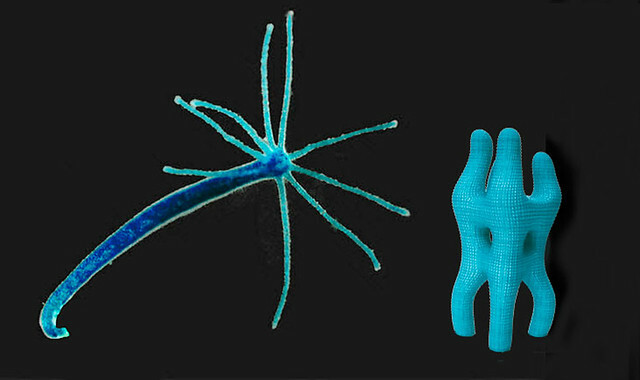 The (zoological) hydra reconstitutes itself entirely identical from amputated pieces. 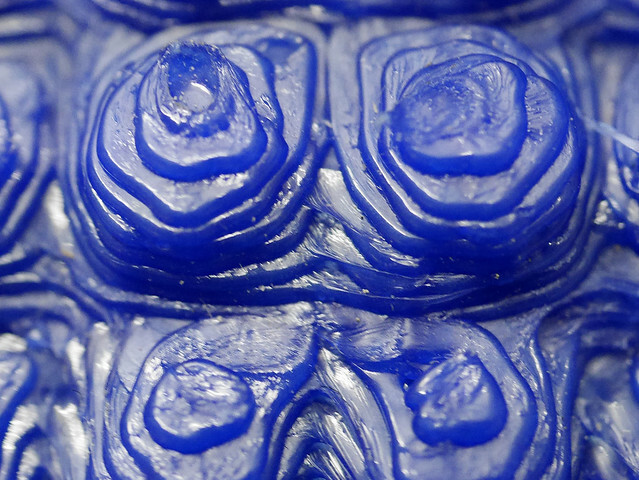 It is the ideal animal to personify the utopia of the 3D printer as universal replicator. 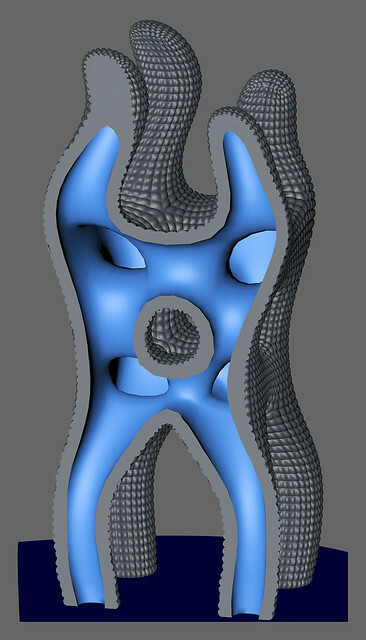 The protopod, as biomorphic polygonal simulation, is freely inspired by the aquatic structure of the hydra to transpose it in the context of the ground gravity specific to 3D printers. 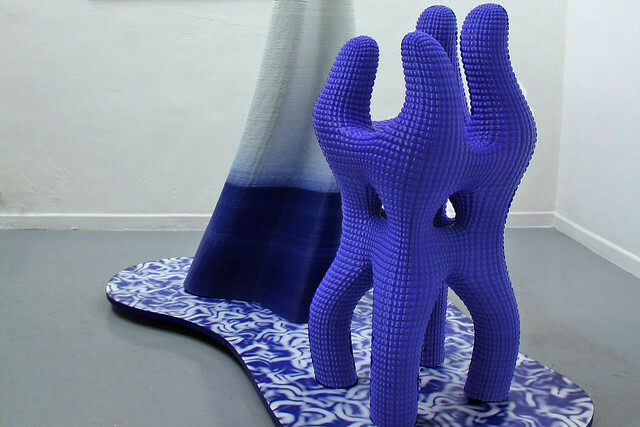 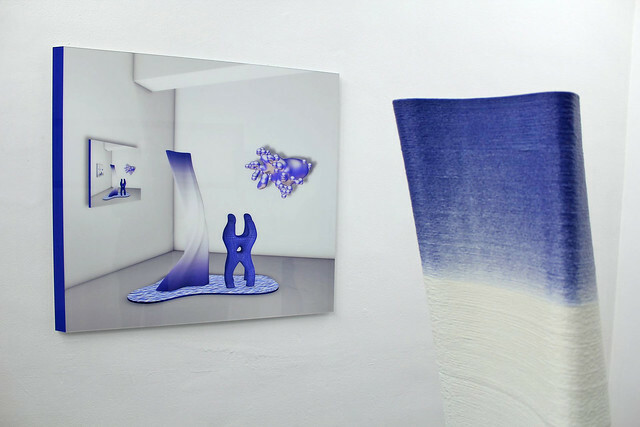 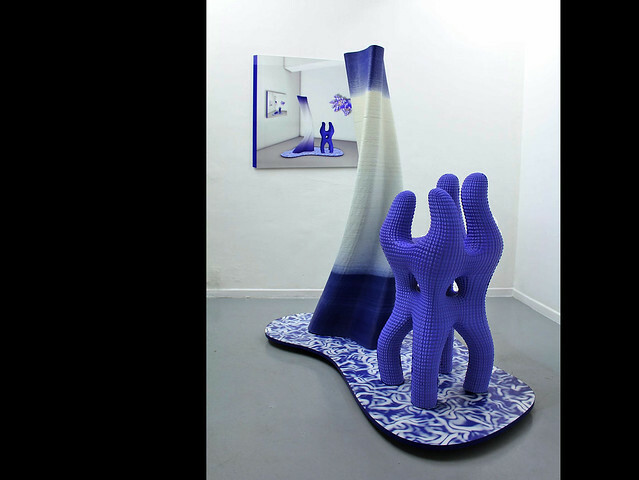 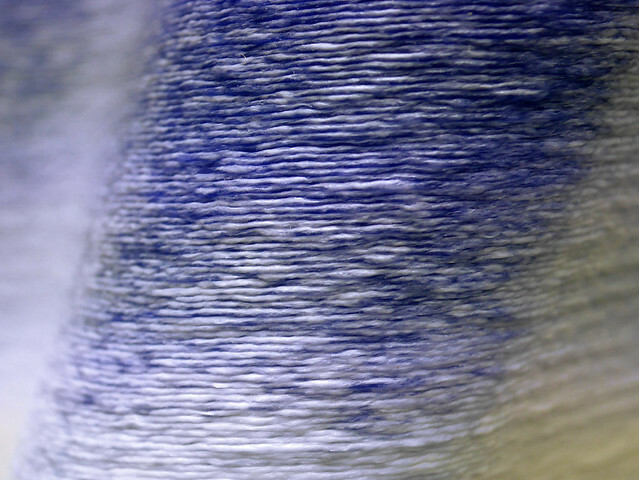 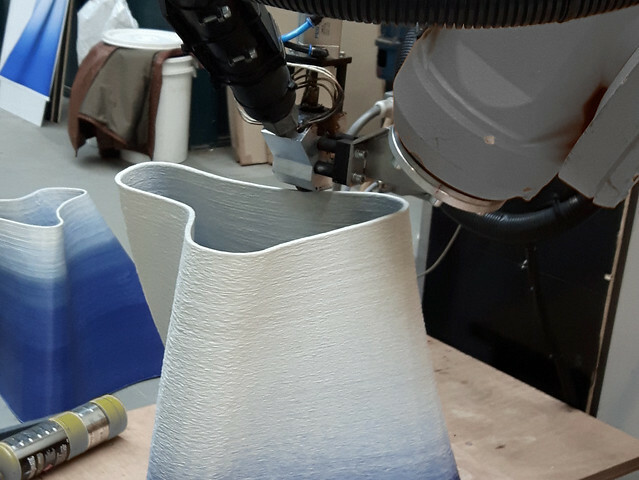 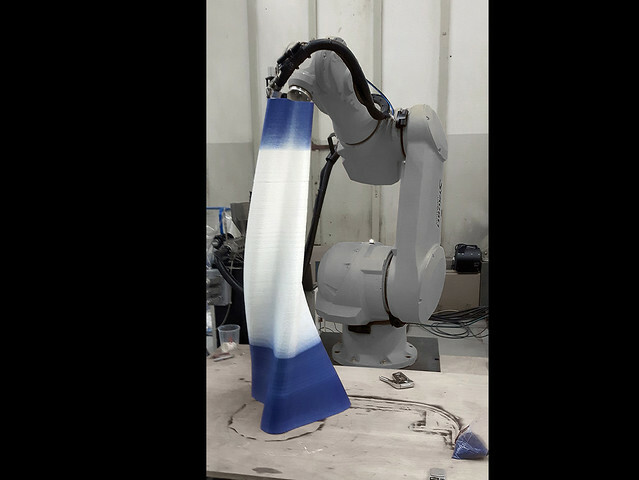 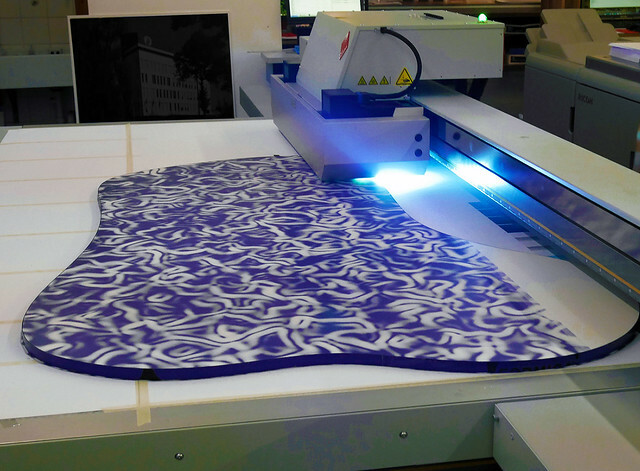 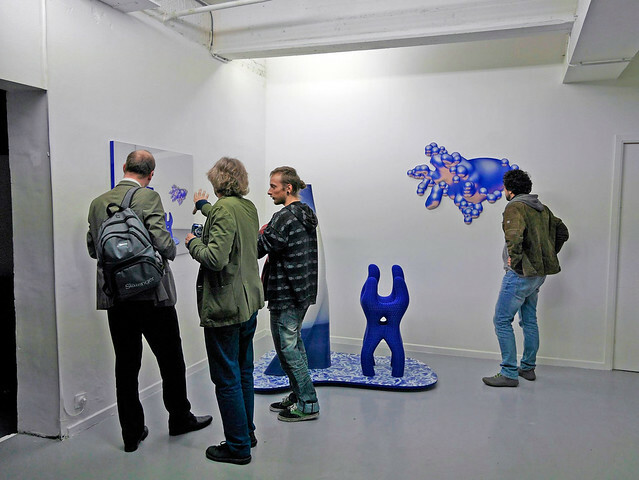 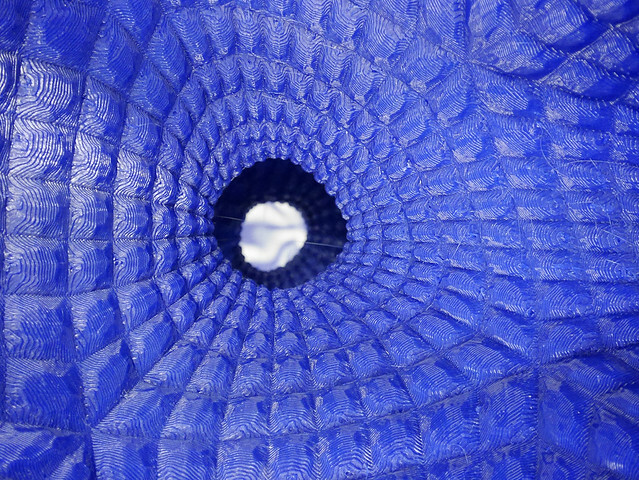 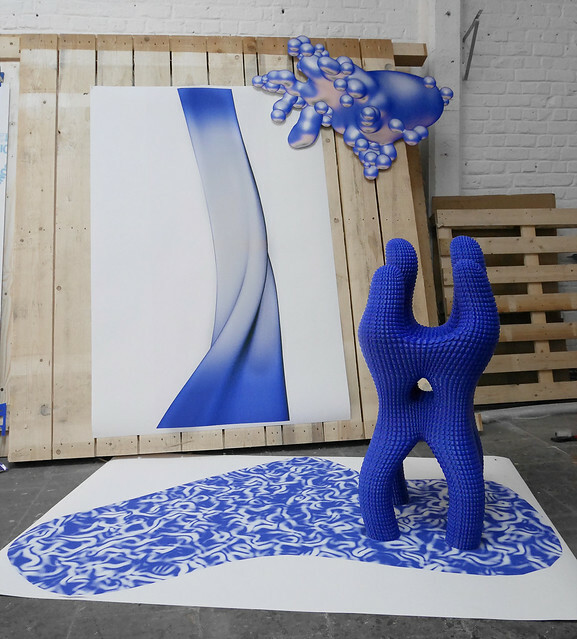 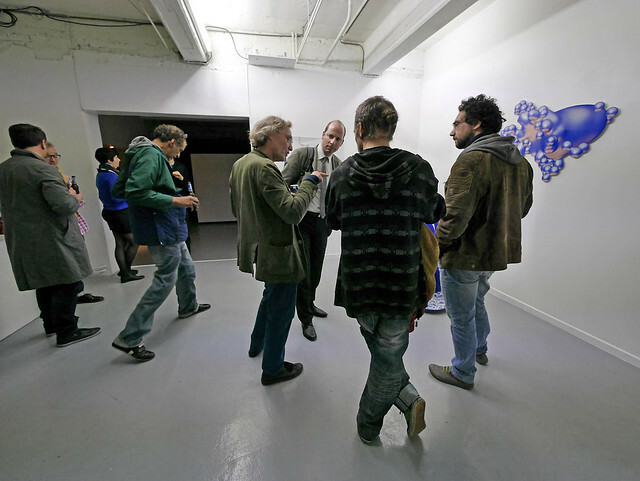 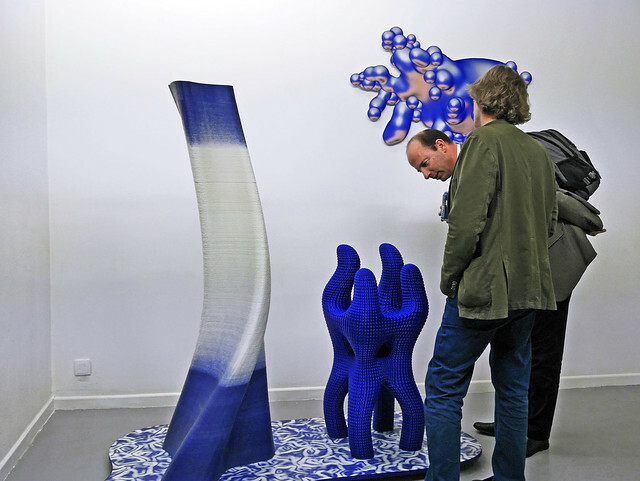 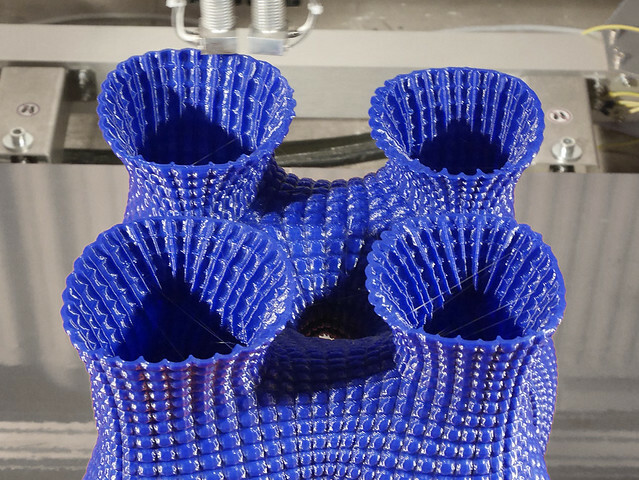 The large scale blue 3D print was made by the artist with a BigRep 3d printer. 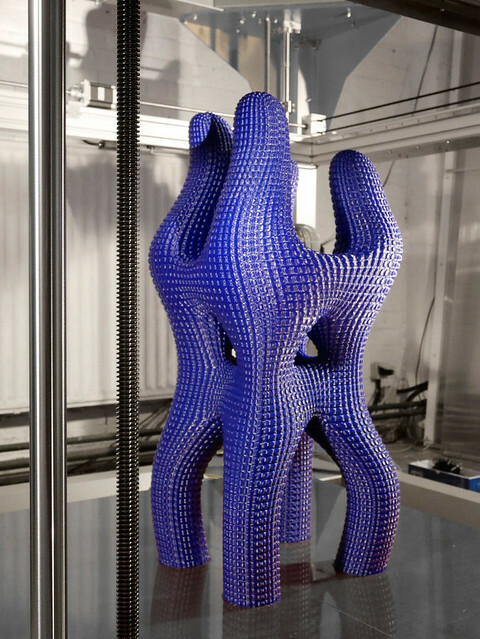 The bicolor high column was printed by 3d-robotprinting.com in Rotterdam.